Baker Shasha Navazesh is trying to isolate sourdough culture that he says make healthier loaves. With his scientific mind, philosophical bent and creative soul, ShaSha Navazesh seems downright destined to create a better bread for the health-conscious Canadians. He’s an artisan baker who shuns mass production, loathes commercial yeast and adores handmade sourdough bread. But Navazesh’s zeal for bread making had led him down a path that few artisan bakers ever tread. He runs a gourmet bakery, Shasha Bread Co. in Toronto, and has been channelling some of his profits-and federal grant- into unlocking the mysteries of the three bacteria cultures that are the foundation of his fresh loaves. Navazesh lovingly raises bacteria and fungus into “sours” (also called sourdough starters or cultures) used to ferment dough for loaves of wheat-free spelt and kamut, sprouted multigrain and organic sprouted Ezekiel bread, inspired by a passage in the Bible. These sell for $3 to $5 at 143 Toronto area health food and fine-food stores, restaurants and hotels. Armenian Lavash flatbread and sesame rice sticks, which don’t use cultures, are equally popular but sell for less. Unlike some artisan bakers, Navazesh isn’t driven to create gorgeous bread in exotic flavours. His mission is to craft nutritious, digestible bread that is rich in protein, vitamins, minerals and enzymes. Unlike most supermarket breads, ShaSha Bread contains no preservatives, artificial colour or flavours, oil, sugar or commercial yeast. It does contain Dead Sea salt, organic grains, unbleached whole wheat flour, filtered water, natural sourdough cultures, and sprouted grains (some believe soaking grains in water release vital nutrients and makes them easier to digest). But to artisan bakers, the biggest no-no is using commercial yeast for quick-rising action. Navazesh ferments for six to 18 hours and believes short fermentation doesn’t produce lactic acid to boost nutrition, digestibility, moisture and flavour. Artisan bakers rely on natural sourdough cultures, in which the leavening process is a symbiotic culture, of lactobacilli and wild funguses. Navazesh has already spent $35, 000, plus a $15,000 Industrial Research Assistance Program grant from the National Research Council, isolating the bacterial strains in the three natural cultures he uses. He wants to know the best food, temperature and humidity levels to sustain these temperamental micro-organisms. The Iranian-born Navazesh discovered his knack for bread making after dropping out of micro-biology studies, backpacking the world and earning a culinary management diploma at Toronto’s George Brown College in 1990. He was a chef consultant, caterer and pastry chef before becoming a partner at Toronto’s now-defunct DNA bakery in 1996. At DNA he discovered a bucket with flakes of an Estonian sour that had long been abandoned by a previous tenant, a baker named Henry Rooneem. Navazesh revived the sour and Rooneem’s renowned sweet-and-sour rye with caraway. As Navazesh was setting up ShaSha Bread, he collected sours from Egypt (birthplace of leavened bread), Russia (famed for its rye bread grown in a rough environment) and San Francisco (world renowned for its sourdoughs). He launched his bakery in June 1998, and quickly earned a cult following. 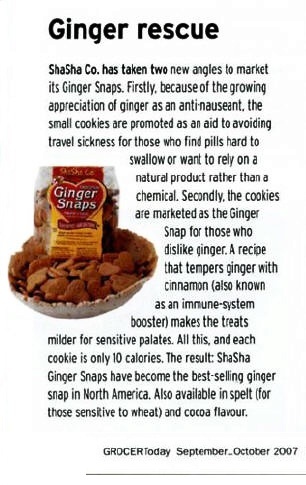 Best Bite: This week it has to go to ShaSha Bread Co. s’ Ginger Snap Cookies. Packed in rigid clear plastic containers, these heart shaped, perfectly spiced and balanced crisp cookies are positively wonderful. The kernel of the idea for an artisan bread bakers’ alliance actually came about during a discussion with Robert Brison, previously with the Ontario Ministry of Agriculture’s Food Industry Competitiveness Branch. We had been discussing the second phase of a bread quality enhancement project designed by ShaSha Bread to accelerate the consumption of premium bread products. The goal of this project was to increase market demand for nutritious, additive-and preservative-free product using old-world style artisan techniques. At the same time we were thinking an alliance among artisan bakers would serve as a united front to increase market demand. I discovered other bakeries, such as Stonemill Bakehouse, also like the idea. A proposal was made and put to the Deputy Ministry of Agriculture, to undertake a study to see if an “Artisan Bakers Alliance” was feasible. With the approval of initial funding, a study was undertaken and researched by the University of Guelph. The study suggested the creation of an alliance to promote quality artisan breads from Ontario was very feasible. And so was born the Artisan Bakers Quality Alliance ( ABQA). This non-profit, voluntary, business association has now been incorporated and has members ranging from educators, government representatives, bakers, grain processors, and food suppliers. The first annual meeting is scheduled for April 28 at the Congress Centre in Toronto. Why do we need an ABQA? There is a growing demand for a nutritious, preservative- and additive-free organic bread product. This sector of the baking industry is gaining market share from large commercial bakeries in North America. Presently, there are only a few small local bakeries supplying this type of product. A bakers’ alliance would help farmers, grain processors and retailers- basically the entire supply chain-take advantage of this growing market opportunity. Since some of the best specialty grains are already being grown and processed in Ontario, it’s the perfect place to build on this strong foundation. From here, we can pave the way not only for the Ontario baking industry, but also for the rest of the country to become leaders of this market-before competing U.S. companies can gain an advantage. An alliance such as this provides direct employment now and opens the door to considerable future employment as the market grows. Both the science and profitability of this food category create a strong interest in young people considering career plans. This exciting element of the baking industry will help secure greater interest among young graduates and solve a major roadblock for the industry. This project involves utilizing technology to improve the entire supply chain’s ability to compete on a commercial scale. The technology would allow us to produce a more competitively priced product, making healthy, nutritious, organic bread affordable for the general market rather than simply for a small market segment. Using the old-world style of artisan crafting/baking techniques. After more than a year and a half, many meetings, and many difficulties, we managed to secure the necessary funding by December 2001. With this financing in hand, we started forging ahead in the launching of ABQA designation. To inform consumers about its unique qualities and attributes. To increase consumption and widen customer base. To establish a common umbrella brand, similar to the VQA ( Vintners Quality Alliance), so the consumer can recognize artisan bakery products of outstanding quality. To increase the consumption of artisan bakery products and to enhance the value which consumers place on artisan bakery products. To define and regulate the voluntary standards for the production of artisan bakery products to be sold, including the requirements that: a) they be made, exclusively from pure and wholesome ingredients, and b) using time honored fermentation practices. To facilitate the development of the artisan bakery craft by members-including sharing information, human resources development and training, government relations, research and promotion. To provide information and resources for members that will enhance both the quality of artisan bakery products and the food safety practices utilized in their manufacturer. To obtain recognition by appropriate regulatory bodies for the standards of the corporation. It’s an exciting time for all of us who share the same vision of securing our craft of artisan baking in Canada. This association will prevent imitation products, both locally and across the border, from falsely taking advantage of a growing niche market we here in Canada have worked so hard to create. Dissatisfied with the existing level of consumer awareness surrounding the quality of various breads in the marketplace, Navazesh hopes to educate the public about the health benefits attainable through well-produced, nutritious artisan bread. For Navazesh, however simply producing such bread himself is not enough. While he is proud of his company’s product, and its place in the market, he is not territorial about that space. Its not a bigger piece of pie he seeks, but rather a bigger pie altogether. Believing in the philosophy that the collective good is more important than the individual. Navazesh hopes to bring Ontario artisan bakers together to share ideas, recipes and techniques with the hope of increasing the availability of healthy bread on the market. To do he has established the “Artisan Baker’s Quality Alliance (ABQA).” Its goal is to build an “umbrella brand” for artisan breads. Navazesh hopes the brand will represent an image and promise to consumers, and will differentiate ABQA products from other bread products. While only time will tell how successful the Alliance will become, the act of bringing industry members together can only be seen as a positive move. A movement towards shared information is a movement towards innovation and co-operation. The sharing of ideas, techniques, solutions, and even problems, will not only serve the bakers involved but consumers as well. Better products result not only in better health for consumers but also better sales for producers. Baker Shasha Navazesh knows what he wants. The owner and founder of Toronto’s ShaSha Bread Co. wants to produce the highest quality bread possible, raise consumer awareness about its health benefits, and share his recipes with rival bakers. Sound unbelievable? Not when he explains why. Navazesh’s main goal is to make better bread for health-conscious Canadians. As the single most important food item in our diet, he believes the nutritional value of bread plays an integral role in the wellness of consumers, but in the market place full of discount items and loss leaders, Navazesh says the health benefits of superior bread still need to be explained to many consumers. To this end, Navazesh is eager to work with other artisan bakers-and share his recipes if need be – to put more quality bread on the market. He believes artisan bakers not only have the opportunity to provide an incredible product, but also to form a relationship with their patrons by helping to educate them on their products. Consumers remain at the forefront of Navazesh’s work. He not only hopes to educate consumers of the health benefits of this type of bread, but also increase the availability of artisan breads. With the assistance of the provincial government, Navazesh has proposed the creation of an alliance of specialty bakers in Ontario that would carry the “Artisan Bakers Quality Alliance” seal. This ABQA seal would be standard, consistent and accurate label that would greatly reduce consumer confusion. Because some of the best specialty grains are already being grown and processed in Ontario, Navazesh believes a foundation exists to pave the way for the Ontario baking industry to become a leader in this market and compete with the U.S. companies. The alliance, he says, will also enhance the reputation of Ontario as an exporter of quality baked goods. Following a study taken by the ministry of Agriculture Food Industry Competitiveness Branch, which showed the alliance to be a feasible undertaking, the ABQA held its first meeting in April 2000. Attendees decided that health would be the platform for the ABQA and that three elements were essential purity of ingredients, the Artisan baking technique and Goo Manufacturing Process (GMP). Now in the works for approximately a year, Navazesh says the alliance has an interim board of directors and is poised to incorporate and begin a membership drive. To date, more than 20 companies have expressed interest in becoming members, he adds. Looking down the road, Navazesh says he hopes the Alliance will help raise the standard of bread products on the market as well as the recognition of the artisan baker. People will know their baker. They will want to discuss new products, gather nutritional information and plan meals with the help of the baker. The baker will become part of the process of nutrition and lifestyle that people will value very highly,” he speculates. Artisan bakers are known to be passionate about their craft, ShaSha notes. The purpose of the ABQA is to raise the profile of artisan breads and educate consumers. Its goal is to build an “umbrella brand” for artisan breads, similar to the Vintner’s Quality Alliance (VQA) for Ontario wines. The brand will represent an image and promise to consumers and will differentiate ABQA products from other bread products. Growth, and to help inform and educate consumers and gain their trust. A logo will be created to identify and promote artisan-baked products, he notes. ABQA will work to build the brand so consumers will associate the logo with the quality and integrity of the products and the people behind them. According to ShaSha, the ABQA will also benefit members by: providing a strong industry voice; creating consumer confidence by setting and monitoring standards; cooperating on activities such as purchasing, warehousing, marketing, distribution and e-commerce and communicating with the Canadian Wheat Board. The ABQA will also encourage research and development, share best practices, identify government funding, influence baking college curriculum to produce better-trained bakers and collaborate on advertising. Chef consultant, pastry chef and artisan baker, Iranian-born Navazesh is a well-traveled man who brought knowledge and experience about food and baking to Canada. His love for food and passion for baking led him to marry his knowledge and expertise with skills and techniques he learned in the culinary management program at Toronto’s George Brown College in 1990. Now, Navazesh runs ShaSha Bread Co. and channels some of his profits –and a federal research grant-into unlocking the mysteries of bacteria cultures that are the foundations of his loaves. He raises bacteria and fungus into “sours” (sourdough starters or cultures used to ferment dough for loaves of: whole wheat bread (yeast free), all organic, stone-ground bread with sprouted rye, spelt and kamut bread, raisin spelt bread, all-organic, stone-ground, Ezekiel bread, all-organic, multigrain bread with organic sprouted rye, sprouted wheat bread with sprouted organic rye, and a chocolate rye loaf. Sourdough is a misnomer: “sour” refers to the “mother” or starter used to ferment the dough, but does not mean it tastes sharp or vinegary. It is a symbiotic culture of bacteria (lactobacilli) and airborne fungus (wild yeast) in which each element within the relationship provides something the other elements need. Sourdough starter is made from water and grain flour, which creates the environment and food for these micro-organisms to perform their magic. How does this symbiotic interaction of airborne wild yeast and bacteria create this magic? Wild yeast metabolizes complex sugars and starches from carbohydrates. This produces the food that the bacteria and yeast need to survive and multiply. Navazesh also produces a line of par-baked products, which includes an Italian style “Ciabatta”, and a number of dry products, including sesame rice sticks, Armenian Lavash, wheat-free flatbread and decorative bread bowls. ShaSha bread is sold for between $3 and $5 at Toronto-area health-food stores, fine food stores, hotels, restaurants and grocery stores, including Loblaws, Dominion, Longo’s and Sobeys. Unlike supermarket breads, Shasha bread contains no preservatives, artificial colors or flavors, oil, sugar or commercial yeast. Navazesh uses certified organic grains for sprouting, organic stone-ground flours, organic ancient sourdough starter, unbleached spring wheat flour, Dead Sea salt (for its high mineral content), carefully selected grains and seeds, organically grown raisins and filtered water. A number of ingredients can be added to bread in addition to the basic ingredients to increase its nutritional value, Navazesh explains. For example, the right amount of sunflower seeds added to the bread mix can supply sufficient amounts of zinc, calcium, magnesium and vitamin B6. The use of sea salt in bread is another way to enrich its nutritional value, as it is a source of trace minerals, he notes. The addition of sprouted grains and seeds to bread also enhances its nutritional value dramatically. Like many artisan baker, Navazesh will not use commercial yeast for quick-rising action. ShaSha bread ferments for six to 18 hours. According to Navazesh, this breaks down the protein into amino acids, greatly improving g the digestibility of the bread resulting in higher levels of lactic acid. Lactic acid acts as a flavour agent and increases the nutritional value of the bread. Combining the long fermentation process with organic sprouted grains allows him to make a highly nutritional organic baked product, Navazesh adds. ShaSha Bread Co. is the only bakery in Canada that has received the National Council of Canada IRAP, 1999 (Industrial Research Assistance Program) grant – a federally sponsored program through the University of Guelph that provides the means for dedicated researchers to advance Canadian products. “We used the grant to research the bacteria culture (sourdough starter),” Navazesh notes. Why research bacteria culture? “Instead of using commercially produced yeast, sourdough method baking relies on naturally occurring bacterial cultures that have been carefully developed to provide the fermentation of leavening bread,” Navazesh explains. These cultures or bacteria-fungus replace commercial yeast. Sourdough cultures are natural, airborne, beneficial bacteria and fungus and are not commercially manufactured, he explains. As a result, many consumers inflicted with yeast intolerance can enjoy the bread. Demand rising rapidly for baker’s yeast-free organic products. Shasha Navazesh is obsessed with bread. He is determined to make Canadians eat “live” organic bread and like it. As owner of ShaSha Bread Co., Navazesh’s mission is to convince the public its worth paying $3 to $5 for a loaf loaded with goodies like sprouted rye and wheat germ. In a perfect world, he’d like to see the big national bakeries switch to more nutritious sourdough recipes. “The baker is connected up to God”, says Navazesh with conviction. And to prove it, he picks up a loaf of his Ezekiel bread that is inspired by a recipe set out in the Old Testament. ‘Take thou also unto thee wheat and barley and beans, and lentils, and millet and fitches, and put them in one vessel, and make thee bread,” he quotes Ezekiel 4:9. Sure enough, the loaf in his hand is loosely based on the scripture. It has eight grains, plus Dead Sea Salt imported from Israel. It’s one of the nine breads produced by his bakery. Others include a 12-grain loaf, two organic wheat breads, and spelt and kamut pizza crusts. ShaSha also produces partly baked loaves for local hotels and restaurants. Because the breads are naturally leavened, they require no yeast. In the language of the trade, ShaSha Bread Co. is an artisan bakery. The bakery was incorporated in 1999; the year sales reached $1 million. Since then, they’ve virtually doubled. The bakery now has 19 employees. Retailers like Loblaws, Bruno’s Fine Foods and Noah’s Natural Foods are among its 170 customers. Restaurants include the Rosewater Supper Club, the CN tower and Royal York Hotel. ShaSha produces 3,500 units of fresh bread daily, impressive but only a fraction of what a big commercial bakery like Weston’s turns out. “We don’t compete. We have our niche and we perfect what we do”, Navazesh says. He comments there were “hundreds of reasons” not to start a bakery, but one good reason to do so: “I love baking bread. My father used to say, ‘Find what you like to do so you don’t have to work the rest of your life’, Navazesh says. Navazesh 45 came to Toronto from Iran in the mid-1980s, via India. Already versed in the biology of food, he first worked as a consultant, opening up restaurants, bakeries and supermarkets and training staff for other people. Then he was a sous chef at La Marquette, a King St.E. eatery. But that meant working nights, and Navazesh wanted to spend more time with his family. 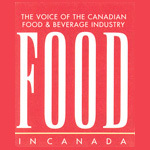 In 1991, he enrolled at George Brown’s culinary school to train as a pastry chef. Taking courses, he began to be taunted by nostalgic visions of his childhood in northern Iran-in particular the aroma of baking bread. “Bread is the cornerstone of every meal there,” he says. “Breakfast, lunch and dinner bread are all different.” He can remember as a child being sent to three different shops for the family’s daily bread. From these memories comes his wonderfully romantic view of the village baker. ‘The Bakers were the most trusted people in the community. They were the gatekeepers. While the town sleeps, the baker is at work. He is the first to sense attacks (from outsiders) and he’s the one who know everybody’s business.” Navazesh says. “All I had to buy was supplies. And I figured, what I couldn’t sell, my family could eat,” Navazesh says. In the early days, he was a one-man band. He did everything: the breadmaking, packaging, sales, marketing, and deliveries. Soon the Big Carrot health food store and Pusateri’s Fine Foods agreed to stock his product. The health food movement was in full swing and people were looking for more nutritious products. After a year, the Queen St. building was sold, leaving ShaSha Bread homeless. “We had customers and no bakery, “ he says. So he became Itinerant, renting spaces after-hours at various local bakeries for $200 a night. That arrangement lasted until three years ago, when Navazesh found his current premises, a 2,000 square-foot former warehouse in Etobicoke. The bakery is doing so well; he was able to buy the building last April. At ShaSha, the breadmakers make use of unprocessed grains and seeds such as spelt, millet, buckwheat, amaranth and flax. All the breads contain sprouted (“live”) grains, the result of soaking the grain until it sprouts and becomes a living food with higher levels of calcium, iron, magnesium and potassium. What results are baked goods that are easily digested and rich in protein, fibre, vitamins, minerals and enzymes. Some 30 per cent of the organic grains used by ShaSha are stone-ground on the premises. Nick Garant , deli manager at The Big Carrot, has watched the demand for ShaSha’s bread increase. “ShaSha creates immense customer loyalty. Once people try his bread, they stick with it,” Garant says. He adds that ShaSha makes the finest sourdough in the city, and people appreciate the taste and texture as well as the health benefits. Garant also says many of these consumers have strong allergies to wheat and are, therefore looking for alternative grains like spelt and kamut. German-Canadian farmers in the Hockley Valley grow much of these grains used by Navazesh, northwest of Toronto. It’s a lucrative business for them, Navazesh says. A bushel of milled spelt, for example, sells for about $60 compared to $16 for white flour. Navazesh comments how much he loves this country. “It has a clean history. And we have the best grains and the best water,” he says. At ShaSha, it takes eight to 16 hours to make a loaf of bread, while regular bread produced commercially takes 60 minutes. Some 70 percent of the process is handwork. Machines are used only to mix the dough and divide it. Navazesh continues to be a student of food chemistry. He has visited 25 countries during his career and brought back bacteria cultures (bread starter) from most. One of these from Egypt is 2,000 years old, he claims. He keeps “beads” of these sourdough starters under refrigeration. Each bead can be “opened up” to produce thousands of pounds of dough. “Bacteria can survive dehydration and freezing. It goes dormant,’ Navazesh explains. With sourdough baking, timing is everything. You have to manually add the “sour”- the bacterial culture used to ferment the dough- at precisely the right time at the right temperature. No machine can do it. And that sets a limit on an artisan bakeries output. Because mass production is impossible, Navazesh says he has volunteered to share his recipes with other artisan bakers in order to fully supply the Ontario market. Navazesh believes in the theory that the pie is meant to be shared, in business and in life, and that includes baking techniques. He feels that is the public appetite grows for artisan bread, everyone in the industry will profit. To that end, he helped form the Artisan Bakers’ Quality alliance, which aims to raise the profile of artisan bakers and educate consumers about their products. Others on board are the Wheat Board, Stone Mill Bake House, Nature’s Own and Fred’s Bread. “With the alliance, we have power,” Navazesh says. Navazesh admits his missionary zeal as a breadmaker has been fuelled by his own spiritual journey. After leaving Iran, he lived for a period of in an ashram. While he was at George Brown, his wife died suddenly and his father and grandfather died as well, all in the same year. They were “the three most influential people in my life,” he says. While a spiritual man, Navazesh is also a clever businessman. From the start, a pillar of his bakery’s success has been its innovative packaging. Navazesh puts his breads in a rainbow of colored wrappers- purple, pink, red and green. These days, Navazesh is re-investing profits back into his bakery and is busy designing a new dough machine. And he plans to continue to fight the good fight on behalf of artisan bread products. Victory will be his when the public has been weaned off ‘corporate bread” full of air and chemicals, he says. Picture grocery shopping on a February day, in say, 2013. As now, you enter the supermarket, grab a cart, scan the list of specials. But you no longer head directly to the shelves. Instead you detour to the diagnosis kiosk. There, someone- preferably someone with a little medical training –pricks your finger to take a blood sample. Perhaps an instant bone-density test sends you to the refrigerated case of calcium-enhanced juices. “I can see the day when I walk into a supermarket, turn left and there’s a health clinic to give results.” Says Bruce Holub, a nutrition professor at the University of Guelph. The idea might sound farfetched but we’re inching toward it, food industry observers say. It’s the logical destination of a trend that’s taking health foods out of small chops and into giant supermarkets. We’re witnessing the growth, and growing pains, of an industry loosely called functional foods. There’s no official definition, but it’s about foods that promise, with scientific backing, not only to nourish those who eat them, but also to prevent or cure illness; maybe even prolong life. It’s food as medicine. Health Canada took a hesitant step last month when it said it would let food companies claim on labels that the products may reduce risk of certain diseases. The new rules don’t go nearly far enough, they complained. They cover just a handful of foods and permit only very general health statements. The U.S. allows far more. “We haven’t gone out on a limb here,” notes Kelley Fitzpatrick, who this month opened a functional food research and lobbying center at the University of Manitoba in Winnipeg, with $25 million from the federal and Manitoba governments and some of the 380 or so companies in the Canadian industry. Food as medicine is old territory for health-shop aficionados or those who pop daily pills crammed with vitamins, minerals, herbs and proteins. It will have a familiar ring to anyone who remembers the miracle fads of the 1980s, when, one after another; oat bran, wheat grass, beta carotene, tofu, olive oil and any number of anti-oxidants strutted onto the stage as health saviours, only to get the hook when it became clear their benefits had been over-hyped. But with the growing demand, and virtually no other substantial new food markets available, the big players-the likes of Pepsi Co, Kraft and General Mills- are jumping in. They’re tapping in to the latest obsession of the baby boom generation, whose first members are well into the middle age and don’t like what they see a few years down the road. In the 1960s,the postwar kids sang along with The Who: “I hope I die before I get old.” Now, already being offered seniors’ privileges by banks and insurance companies, they’re having revisionist thoughts about the British rockers’ 1964 ode to their generation. They’ve decided that, all things considered, they’d prefer to live forever. If they must eventually exit life’s stage, they’d rather do it around, possibly, age 125, with faculties and libido intact. The basic motivation is set out in The Baby Boomers’ Guide to Living Forever, by American nutritionist Terry Grossman. The book argues that the radical extensions of the human life span are only a few decades away. Boomers, it says, should live in a more healthy way now to increase their chances of being around when the amazing break- throughs come. This generation is said to be the first in human history to be able to look forward to decades of healthy, enjoyable active life after retirement. The Boomers are also, pollsters say, increasingly nervous about conventional medical care and cynical about institutions. They’d prefer to keep their fate in their own hands. They have access to more health information than ever and enough money to pay for their fixation on it. And they want to continue having it all – in this case, good health and the foods they’ve always enjoyed. They’re being joined at the functional food buffet by a much younger generation, the computer-tethered youths who experts say, eat badly in the U.S., 25 per cent of their vegetable intake is chips and fries- and rarely exercise. They, or their parents, are finally worried that so many kids are overweight and have high cholesterol. Functional foods make up 40 per cent of a natural nutrition industry that also covers organic foods, pills and other diet supplements, and personal care products. While they account for only 5 per cent of the North American food market, they’re expected to grow by about 7 per cent a year for the next decade, and to gain at the expense of supplements. It’s not all going down as smoothly as a creamy milkshake. Some observers fear the government imprimatur won’t end problems and abuses. A few attempts to introduce functional foods have caused serious corporate indigestion, and the industry isn’t experiencing the massive boom predicted in the mid 1990s. As well, those involved caution that while functional foods might promote better health, they wont perform miracles. Consumers still need a good basic diet and exercise, they say. Companies have learned that success isn’t guaranteed. Swiss pharmaceutical giant Novartis, Campbell Soup, Kellogg and British retailer Marks & Spencer all launched carefully formulated products that had less staying power than a sugar doughnut. Novartis , for instance launched a kind of nutrition bars, cereal and drinks, colour-coded to show the part of the body to be benefited. But poor sales killed the line in about a year. Functional foods come in many forms. Some are based on natural components of foods, like the cholesterol-fighting soluble fibre in oatmeal, or lycopene , a chemical in tomatoes that’s believed to keep our eyes from deteriorating and might reduce the risk of prostate cancer. More often, ingredients are added or enhanced –calcium mixed into orange juice or cereal; hens fed flax meal so their eggs are enriched with heart helping Omega-3 fatty acid; tomatoes genetically engineered to boost their lycopene content. Several countries years ago ordered fortification of a few products to solve public health problems. Vitamin D is added to milk to prevent rickets in children. Iodine goes into table salt to combat goitre. Refined flour gets B vitamins and iron to replace what’s lost in processing. Margarine is enhanced with vitamins A and D.
Health Canada allows nutrients to be added to 27 other products; for example, vitamin C in fruit drinks and dried potatoes, and the eggs with an Omega-3 boost. A new infant formula incorporates a plant chemical called DHA, found in breast milk and considered vital to development of the brain and eyes. But while these might be considered functional foods, they can’t make health claims; their labels can’t state what the added ingredients are supposed to do. On the other hand, not all enriched foods are functional foods. Some are refined to nothing but empty calories and packed with sugar, fat or salt. The U.S. Food and Drug Administration pushed by court rulings and strong industry lobbying, has approved 14 claims, including some specific to certain products. Last December, it also permitted “Qualified” claims-they’ll have scientific backing but not universal agreement. Consumers, the FDA says, can decide for themselves. The agency “cave in,” to industry pressure, says Jeff Cronin of the Washington-based center for Science in the Public Interest, or CSPI, an independent research and lobby group. Health Canada is in no rush to follow the U.S. lead, the four claims it just approved, which describe general effects of large classes if food, have been allowed in the U.S. for a decade. Ottawa offered a proposal for more- specific claims, but “nobody was very happy with it,” Cheney says. Nutritionists worried it might lead people to see functional foods as “magic bullets that would fix you just like a pill,” undermining healthy eating, said Bill Jeffries, of CSPI’s Canadian office, in Ottawa. Industry officials complained the plan was too restrictive. They wanted to be able to claim that a product might reduce the risk of cancer, heart disease or other ailments. Health Canada was only prepared to let them claim effects on the body-that a certain ingredient, for example, may lower cholesterol levels. “No single food I know of will decrease the risk of heart disease, “ Cheney says. Health Canada pulled back, although it did introduce new nutrition labels, to appear over the next three years, and the four general health claims. At some point, it will resume work on more specific claims. It’s one thing to say an ingredient lowers cholesterol in the blood, then link that to reduced heart disease. It’s another to claim, for example, that anti-oxidants keep cells healthy and ward off cancer. They don’t produce a body change that can be linked to the benefit. Still, the FDA is expected to approve a qualified claim that two anti-oxidants, vitamins C and E, reduce the risk of some cancers. People could pay a premium for ingredients that don’t need, in most cases, as with vitamin C, an excess dose will be wasted. A few, including calcium or folic acid could be dangerous. Processing and storage might destroy some ingredients. Some produce mixed results. A couple of studies suggest selenium reduced the risk of prostate and colon cancer in men. But it could increase breast cancer in women. Despite the concerns, a banquet of functional products is being unveiled: Most are breads, nutrition bars and beverages: Promising ingredients include tree pulp, powdered berries and fenugreek- a curry spice that, with the flavour removed is an excellent source of fibre. Fortunes can be made from secret recipes: just ask Colonel Sanders. So why does Toronto baker Shaun “ShaSha “ Navazesh want to share his new formula for sourdough bread? Navazesh was a 12-year-old in Iran when his grandmother passed on her ancient technique for baking organic bread. Last year, his Shasha Bread Co. began selling his ultra-healthy breads to health stores and four- star hotels. Sales hit $1-million last year, and should double this year. A nice private little niche? Not for Navazesh. He wants to share his recipe, to encourage more bakers to make what he calls “ real bread”, and ultimately grow the market. Currently, few bakeries produce bread like ShaSha’s. “Sourdough baking is tedious because you have to add the ‘sour’- the bacterial culture or fungi used to ferment dough-at exactly the right time and temperature,” says Navazesh. That means making the dough by hand, which limits ShaSha to 500 loaves a day. Brewing and baking were closely connected in early civilizations. People first discovered that soaking grain had nutritional and stimulating effects (beer) before discovering sourdough or the fermentation techniques for baking. For all but a fraction of this time, bread was leavened naturally with airborne spores of sourdough culture. With what seemed a divine and invisible hand the sourdough culture miraculously created digestible bread. Sourdough starter is made from water and grain flour, which creates the environment and food for these micro-organisms to perform their magic. How does this symbiotic interaction of airborne wild yeast and bacteria work? Wild yeast turns complex sugars and starches into the food that the bacteria and yeast need to survive and multiply. The synergism also creates lactic acid, acetic acid and ethanol (alcohol). Lactic acid contributes to better digestibility of the bread and gives it a unique flavour, while acetic acid adds flavour and is a natural preservative, lowering the pH level of the bread product and retarding mold growth. Ethanol is a byproduct of fermentation and creates that wonderful smell of freshly baked bread! All sourdough baking uses this soupy mixture to produce a variety of different bread products that can’t be made in any other way. True sourdough techniques does not use baker’s yeast (Saccharomyces cervvisiae). It is rather a combination of wild yeast (often Candida milleri) and an acid-generating bacteria. (Lactobacillus Sanfrancisco). Baker’s yeast is a hybrid fungus, which is used in commercial baking for its quick rising action, shortening the fermentation time. The longer fermentation time of sourdough baking breaks the protein down into amino acids, making the bread more readily digestible. Baker’s yeast does not allow the bacteria and yeast interaction, so the beneficial lactic acids and acetic acid are missing from the bread product. In order to maximize the benefits of sourdough, non-commercially processed high quality ingredients are essential. It was common to store white flour for months to allow oxygen to condition it. Storage costs, spoilage and losses due to insects caused commercial processors to use chemical additives. Chemical oxidizing agents or bleaches were used for two reasons: 1) they produced the same conditioning effects of oxygen in shorter time; 2) they bleached the flour to a whiter color. Currently the Health Protection Branch in Canada allows the addition of almost 30 different chemicals in commercially produced flours. Consequently, these flours are “enriched”, which is doublespeak for the substitution of natural vitamins and minerals for synthetically produced vitamins. Enriched flour doesn’t provide substitutes for everything taken out of the original, however. The trace mineral chromium, for example, is commonly forgotten. Whole-grains stone ground flour doesn’t need to be enriched. In addition, there are several other advantages to stone ground whole grains. The endosperm, bran and germ are in their natural, original proportions, allowing for higher and better nutrient absorption. Stone grinding is slower, so the germ is not exposed to high temperatures. Heat causes the fat from the germ portion to oxidize and become rancid, destroying many of the vitamins (particularly fat soluble one such as vitamin E). Stone ground flour is usually coarser, reducing the loss of nutrients due to oxygen exposure. Canadians are now returning to milling their own grains with home mills in order to obtain freshly ground flour for home baking. Add sprouted grains for an increase in protein, vitamins, minerals and enzymes. The nutrients in real sourdough bread are more bio-available and easier to digest and the bread retains natural dietary fibers. If you eat bread and who doesn’t), eat naturally cultured sourdough. ShaSha Navazesh considers himself to be more of an artisan than a businessman. As the owner of Toronto’s ShaSha Bread Co., he believes making organic bread is closer to being a craft or an art then a money-making venture. Nevertheless, practising his craft has clearly become a lucrative business. Since incorporating the company in January 1999, sales already exceed $1 million per year, as Navazesh’s all-natural products have found their way into approximately 150 retail stores in the Toronto area, as well as a number of upscale Toronto establishments such as the Rosewater Supper Club, Wildfire Grille, Four Seasons Hotel and the Delta Chelsea. “I find making Bread to be inspiring: it gives me a lot of satisfaction “ Navazesh’s idea of “doing it right”, is baking wholesome, all natural sourdough bread. He feels very strongly about the benefits of the sourdough technique, explaining that with the sourdough, a “symbiotic culture” of lactobacilli and wild fungi is used for leavening, unlike the regular method of bread-baking, in which commercial bakers yeast is used. While baker’s yeast allows a quick-rising action, the fermentation time isn’t long enough to produce any beneficial lactic acid. The sourdough method is the only natural bacteria activity to boost lactic levels, greatly contributing to nutrition, digestibility, moisture and flavour, according to Navazesh. The company also sprouts its own organic grains for its bread products, “We’re one of the only (suppliers) in Ontario that sprouts grain,” says Navazesh, who stresses that using live sprouted grain is very beneficial for the human body. With this method, live grain kernels are soaked until they release enzymes that cause the living kernels to sprout, which in turn releases all the nutrients stored in the whole grain. Navazesh says bread made from sprouted grain is richer in protein, vitamins, minerals and enzymes. Among ShaSha’s sprouted grain breads is the “Ezekiel” bread, a popular re-created version of an ancient biblical bread (based on the recipes God gave Ezekiel in Ezekiel 4:9). Using sprouted wheat, spelt, lentils, soybeans, millet and barley, this bread provides eights essential amino acids, making it a high source of protein. The company’s bread offerings also include Spelt and Kamut Bread (ideal for those who can’t eat wheat), Multi-Grain Bread, Organic Canadian Wheat Bread, a nine-inch Spelt and Kamut Pizza Crust, Armenian Lavash (a yeast free flatbread made no oil and sugar) and Sesame Rice Sticks. On the retail market, bread loaves typically sell for between $3 and $5, which often works out to be between 100 and 150 per cent more than most regular retail breads. With ShaSha bread selling so well, one might think that Navazesh- whose company currently employs 16 staff members- would have major expansion plans. But Navazesh has no plan to increase his manufacturing capacity. “A sourdough bakery can’s go on mass production,” he explains. He will, however, consider expanding the bakery’s reach a little further beyond Toronto’s boundaries, and is already starting to send frozen products as a far as Ottawa. At first glance McCain Food Ltd.-gracing our cover as Processor of the century-and ShaSha Bread Co. (featured on pg.31) have little in common. One is a $5-billion household name with plants across the globe; the latter a burgeoning organic bakery, pumping out a couple of thousand loaves a day in a small, Toronto facility. But what the icon and the upstart share is vision-that often talked about, but less frequently seen, quality that propels business into the upper stratosphere. For McCain, it was the ability to see the world as an oyster. To simply strike out and build and buy plants in foreign markets as the rest of the industry was talking about globalization. For ShaSha Bread Co., the vision lies closer to home. ShaSha Navazesh, the founder of ShaSha Bread Co., has big plans. No, not for greater profits or longer production runs. He wants to form an alliance of farmers, processors, retailers and educators working in the organic cereal products sector that will see Canada, specifically southern Ontario, emerge as a world centre and leader in this area. Navazesh has even applied for a grant from Healthy Futures – a $90-million program recently launched be Ontario’s ministry of agriculture, food and rural affairs- to back his vision. Most inspiring is Navazesh’s ability to look beyond his won operation and business needs to the interests of his whole industry niche. He thinks about the abundance of grains in Ontario fields that are renown for their quality and pre-sold to global markets years in advance, and says that resource, combined with our water, people and the increasing demand for organic products (now about 20% of marketshare in the U.K.), is a potential gold mine- and one that Navazesh wants Canada to wake up to before someone else does. “I love this country,” says the Iranian-born baker passionately. “Why should we sell this off to Italy or the U.S. when we can make it (happen) here, make the economy strong?” Why, indeed. You may say that Navazesh is a dreamer, but the industry is assured a healthier future in the hands of a few visionaries like him than it is under the grip of number crunchers who don’t take the time to look up from the bottom line to see the big picture in front of them. While Navazesh’s organic cereal products alliance may not be pulling in $5-billion a hundred years from now, his image certainly comes to mind as a candidates for processor of the next century. Using age-old sours, ShaSha Navazesh is raising the bar on bread products and winning over retail clients in the process. ShaSha Navazesh isn’t your typical baker. His upscale artisan bread, which had made its way into Toronto’s elite grocery stores, restaurants and hotels and won the praise of bread connoisseurs and retailers alike, isn’t exactly ordinary either. Navazesh’s company, Toronto- based ShaSha Bread Co., and his approach to bread-making are a far cry from the mass production operations that dominate the industry. Working out of a humble 750 square-metre plant with one industrial oven and a small, adjacent lab, Navazesh speaks passionately about fungus, bacteria and lactic and amino acids- the very essence of sourdough products. While Navazesh will never be able to attain the volumes and consequently sales, of a commercial bakery due to the tedious nature of his production methods (fermenting dough takes 8 to 16 hours), he knows the ‘big guys’ can’t touch his products when it comes to nutritional value and taste. He also knows he’s riding the consumer-driven wave of premium priced, ‘natural’ products- a trend that had artisan bakeries eating up retail marketshare. An Iranian born- former microbiology student and food consultant. Navazesh is a dedicated to producing breads using 100% sours, all organic grains-30% of which he stone-grinds himself-and Dead Sea Salts imported from Israel. He also prides himself on shunning chemicals, preservatives, sugar, oil and artificial colour and flavour. In total, Shasha Bread Co. manufactures about 3,500 units of fresh bread a day, while also producing par-baked dough for foodservice clients. The product line, which is 70% organic, comprises five spelt and kamut breads as well as two types of rice sticks and Armenian Lavash flat breads. Loaves retail for about $3.50 each. Navazesh has plans to add a rye to this line up and move into a lager facility to meet sales growth. While his operation may seem minuscule next to the Weston’s of the world, it did pull in $1 million in sales in its first year of business (1998-1999), and products are now available in 160 Ontario retail locations, including Loblaws. The grocery giant wants Navazesh to supply it with bread for its stores Canada-wide. Conceding to the shelf-life and production limitations of his products and refusing to sacrifice quality, Navazesh has offered, instead, to train master bakers in his sourdough craft and has encouraged Loblaws to draw from a network of artisan bread-makers from coast to coast. Navazesh has his hands in several projects aside from growing his organic bakery. Presently, he is completing research work into the optimal use of three sourdough cultures-a project that has given him the status of being the first baker to earn a National Council of Canada grant. Navazesh is also designing a new dough machine (a hybrid between an autoclave and an incubator) to sanitize material while obtaining more consistent fermenting conditions-all while he is putting the finishing touches on his web site (www.shashabread.com) intended to ac as a vast food nutrition resource for consumers and fellow bakers. TORONTO- A baking revolution is taking place in Toronto and ShaSha Navazesh is its trailblazer. The baker and owner of Shasha Bread Co. produces nutrient-rich sourdough bread which is now used by the restaurants such as Auberge du Pommier and The Rosewater Supper Club. Sprouted and organic grains distinguishes his bread from others. The grains are soaked to release enzyme-rich food energy that cause kernels to sprout and produce more nutrients. Organic Dead Sea Salt, stone ground whole-wheat flour and filtered water are used to make the bread. Commercial yeast, normally used in bread, has a fermentation time of two hours. By controlling the strains of his own cultures, Navazesh stretches the fermentation period to anywhere from six to 18 hours. This makes his bread more digestibly and retains a higher vitamin, mineral and enzyme content. Navazesh’s closely monitored bacteria are used to develop “sours” cultures, more commonly known as sourdough starters. These are used to ferment dough for loaves of wheat-free spelt and kamut, sprouted multigrain and organic sprouted Ezekiel bread. Customers with a yeast intolerance can enjoy the bread since commercial yeast is not used. The breads contains no preservatives such as calcium propionate or calcium phosphate, and neither does it have oil, sugar or artificial colours or flavours. Navazesh developed a passion for sourdough and baking techniques after dropping out of microbiology studies in university and backpacking the world. During his travels to more than 26 countries, Navazesh tasted sours from Egypt, Russia and San Francisco,” I found the best bread is hand made in small villages, “ he says. In 1996, Navazesh was a partner at Toronto’s DNA bakery, now closed. He collected the sours he tasted during his travels when Shasha Bread was created in June 1998. Navazesh has little interest in expanding. The slick, wet and delicate nature of the dough prevents it from being processed by machine and working twice his 60-hours-per-week schedule does not appeal to him. For ShaSha Navazesh, operationg a bakery is far more than merely a job – it’s a life mission. The president of ShaSha Bread Co., a 40-employee bakery that turns out 11 different types of breads and other baked goods at the 8,000-square-foot facility in west-end Toronto, offers compelling proof to the old notion that quality wins over quantity, hands down, each and every time. And if producing higher-quality product means painstaking attention to detail, tradion and craftsmanship, so be it. By all accounts, this change in focus has paid off in spades, with ShaSha’s market reach extending steadfastly throughout southern Ontario in recent months, with some of its products shipped as far east as Ottawa and Montreal. ShaSha’s bread products – including spelt and kamut bread, Ezekiel flat bread, flax and soya, and spelt and kamut pizza crust – are all made from purely organic sourdough, which is baked utilizing a combination of ancient, time-proven techniques and innovative methods enabled by modern technology. Instead of using commercially produced yeast, ShaSha deploys a sourdough method of baking that relies on naturally-occurring, fungus-like bacterial cultures, which have to be carefully developed to provide the right fermentation for leavening bread. Such approach results in a product that provides a welcome alternative for many consumers who happen to be intolerant to the mass-produced commercial yeast, or other common ingredients. The inevitable drawback of ShaSha’s all-natural approach to bread making is its comparatively short shelf-life of only about six days, Navazesh acknowledges, although he insists that is plenty of time for most consumers to eat up the product without seeing it go to waste. On the other hand of the shelf-life scale, however, Navazesh points out the company’s cookies, which boast shelf-life closer to eight weeks. According to Navazesh, this lengthy shelf-life is achieved with modern technology-namely the ST225 rotary heat-sealer from Steeltek Packaging Equipment of Midland, Ont., and a nitrogen flush mixture from leading industrial gas supplier Praxair. Steeltek, which has been manufacturing rotary heat-sealers, conveyors and packaging systems since its founding in 1990, also supplied ShaSha with a ST560 conveyor, as well as a custom-designed gas-flush system. Utilizing combination Teflon-fiberglass sealing bands, the ST225 machine-featuring stainless-steel and anodized aluminum construction, as well as fully-sealed bearings-came complete with food-grade belts, variable product guide rails, and an illuminated on/off switch. With a shaft-driven sealing head, and its gear motor parallel to the rear of an adjustable conveyor ,the machine provides a broad range of high- performance options, including date-coding capabilities, a product counter, a digital speed indicator and full process validation, as well as splash-proofing, an emergency stop, a trim/scrap chute, tamper-proof digital temperature control, and variable operating speeds up to 1,100 inches per minute. To meet its MAP (modified atmosphere packaging) objectives, ShaSha retained the services and expertise of Praxair Canada Inc., Mississauga, Ont.-based subsidiary of industrial gas giant Praxair Inc. of Danbury, Conn. The rotary heat-sealer and the nitrogen flush delivery system are just part of close to $1.5 million worth of capital upgrades ShaSha has undergone over the past two years, which also include installation of a date labeler and a custom-made 40,000-rpm purification system, with ultraviolet channels, that works through the night to rid the facility of all the unwanted airborne bacteria. For Navazesh, the unrestrained enthusiasm for his craft extends far beyond his bakery. He just happens to be the current president of the Artisan Bakers’ Quality Alliance (ABQA), a three-year-old, fully incorporated industry group with a board of directors and fast-growing membership, which attracted 23 companies into its fold just last year alone. According to Navazesh, one of the group’s main aims is to build a sort of an “umbrella brand” for all artisan breads-along the lines of the Vintner’s Quality Alliance (VQA) recognition now in place for the Ontario-based wine producers and their brands. Navazesh says such trademark recognition will provide considerable marketing clout for the emerging artisan bakers by helping consumers make well informed choices about the breads and other baked products they buy. Healthy Profits, Booming exports are driving the fortunes of organic food manufacturers. It’s been a fairly muted retail revolution, but organic products have outgrown health food stores and muscled their way onto the shelves of every major supermarket chain in North America. The appeal now is mainstream, driven in part by increasing consumer resistance to produce that is genetically modified or grown with the use of pesticides. Since 1985, sales of organic foods in Canada have grown about 20 per cent a year, and there’s room for improvement: they represent less than five per cent- or about $1.2 billion- of the estimated $64 billion Canadians spent on groceries in 2002. The windfall for Canadian companies has come from exports. “There’s a lot of confusion in the marketplace about how the major food companies are producing their products,” says Debra Boyle, president of Pro Organics., Canada’s largest organic food distributor. “That makes organic food very attractive.” Thanks to an abundance of high quality and comparatively inexpensive organic wheat- grown without chemical pesticides, artificial fertilizers and biological engineering-wheat-based products comprise the biggest component of Canada’s exports. Philanthropy is something of an industry trait. Navazesh annually gives more than $100,000 worth of his bread to food banks and charities. And at Nature’s Path, Stephens donates on per cent of revenues from his EnviroKidz cereal line to charitable organizations. Those initiatives fit with the producers’ belief that their products serve a broader good. “Organic means less poisons in our air, land and water,” says Stephens. “I would love to see 10 per cent of our agricultural output be organic-then the movement would really start to snowball.” And, by extension, sales would really climb, too. Great bread is about artistry and flavour. It’s the ultimate slow food, for it takes time and patience to make a crusty baguette, an irregularly shaped ciabatta or a flour-dusted walnut-and-cranberry boule. The antithesis of Wonderbread, really good bread is handcrafted and contains high quality, carefully nurtured ingredients. Sometimes that means pure alchemy with just three ingredients: flour, water and salt. Regretfully , fakers abound. Sorry bread that is so-called “artisanal” but tastes like cotton. Shasha Navazesh is a passionate Toronto baker who feels a bread lover’s pain. He wants to raise the bar on bread quality and as president of the fledgling 34-member Artisan Bakers Quality Alliance (ABQA), Navazesh wants to stamp every authentic, artisanal loaf with a seal of approval. Heart, and a guarantee: That ABQA seal promises no chemical additives or preservatives; no added fats, oil or sugar; and no genetically modified ingredients. In other words, organic with an underlying principle: long fermentation. All ABQA breads use what’s known in the trade as a starter. Artisanal bakers have numerous types of starters up their sleeves- with exotic names like biga, sponge or poolish- all containing proportions of flour, water and yeast. Another starter is the classic sourdough, made from a simple mixture of fermented flour and water, which over time captures wild yeasts and bacteria that leaven and flavour the bread. Starters have been around since the first leavened breads of ancient Egypt. Commercial yeasts ( think Fleishman’s active dried yeast) were introduced in the 1800s. Most commercial breads rely on large amounts of these tiny, tan pellets to create a fast rising dough, with no time for starters or long ferments. Starters are finicky and can be as high maintenance as a live pet. Sourdough starters need daily feedings ( “refreshments” in baker lingo) of bread and water to stay alive. Miss a scheduled feeding and bread won’t rise. No matter the starter, the main ingredient is time. It’s a bubbly point that bakers squabble over when trying to define artisanal bread. Most will agree that artisanal implies tradition and hand crafting, but the ABQA goes one step further, insisting not only on a starter, but defining the time required to make final dough. ABQA insists on a minimum four-hour final rise. One of the biggest problems holding back more bakers from joining the ABQA is the ticking of the clock. During those long and precious hours necessary for creation, a baker does nothing. But the ingredients get to work. The end result is a loaf with rich, grainy flavour and a subtle tang. Conversely, quickly made breads can have a pronounced, fermented flavour masking the taste of wheat and reducing the breads complexity. Perhaps more than any other baker in town, Linda Haynes of Ace Bakery has changed the way Torontonians really taste their bread. Seal or no ABQA seal, Ace Bakery calls its bread artisanal. “ To me, artisanal bread means using a natural starter, relying on a slow ferment, giving rising dough lots of rest, hand-shaping, baking in a hearth oven…All of this results in a crisp crust, a crumb that has open structure ( gaping holes) and a subtlety of flavours,” says Haynes. It all started at Ace with a baguette, one of the most difficult breads to bake. Husband and co-owner Martin Connell set out to bake it in the family’s Caledon kitchen in 1982. Soon he and Linda were smitten by bread baking. ShaSha Bakery’s unique air filtration system keeps the air purer for employees and the products they bake, as well as extending the baked goods’ shelf life. It began with a problem. ShaSha Navazesh, owner of Toronto-based organic bakery, ShaSha Bread Company, faced two concerns: airborne mold and spores, and improved shelf life for his bread. As an organic bakery with a strict practice of working with chemical-free products, using chemicals to solve the problems was out of the question. After mulling it over for a while, Navazesh came up with the idea of creating an air filtration system with UV lighting that would stop airborne bacteria in its tracks by zapping it to oblivion. “I work with bacteria and sourdough, and I do research extensively on bacteria and airborne fungus. I thought it would be a great way of non-chemically extending my shelf life and having a cleaner environment,” he says. First, Navazesh called Phillips Lighting to see about getting UV lighting suitable for a bakery. By “suitable,” he meant something, “with a plastic coating on it, because anything you use in a food plant has to be shatterproof. UV lighting was available, but none of it was shatterproof,” says Navazesh. It took about a year, but Phillips eventually developed the lighting, called Navazesh back and suggested bringing L2B Environmental on board to actually develop the system. L2B is a Canadian manufacturer of environmental and air filtration systems, with plenty of experience manufacturing and working with UV systems (mostly in hospitals). From there, Van ‘A’ Engineering & Associates entered the picture, to create the design plans and help implement the project. After stopping production for about a day to install the unit, they had it up and running by November 2004. Here’s how it works. During the day, a rectangular unit situated on the bakery roof brings outdoor air into the building through ductwork that has been fitted with the UV lighting modules. According to L2B Environmental, the UV lamps (Teflon coated and germicidal) irradiate the air, killing 90 per cent of any airborne pathogens. The air then passes through a micron filter that traps any actual airborne particles, including mold spores. The UV light zaps the filter, this time killing 99 per cent of the trapped micro-organisms. The air, purified and clean, flows into the bakery. At night, the unit switches to a recycled air system, drawing the air from inside the bakery through the duct system and purifying it. While the plant is empty, Navazesh had the unit wired into the bakery’s security system, so it’s up and running all the time, with no need to worry about having someone turn it on or off. says has been more than worth it. sourdough isolate Navazesh keeps in a secure location). The company’s bread slicer has also been fitted with a similar (but much smaller) UV filtration unit to double ensure the purity of the air being pushed in with the bread when it’s bagged. Overall, Navazesh says he’s thrilled with the results and that the cost of the unit has been worth it. Why food evolution and human evolution are at odds with each other. In the last 50 years, human lives have changed dramatically. The human genome has been mapped, the atom has been split, our use of technology has exploded, and our understanding of the world has grown exponentially. We have gained a new capacity for multitasking, for dealing with stress and crisis. We’re using more of our brains for resolving and calculating than ever before. Our life expectancy has almost doubled. We have changed almost everything about the way we live and work. The quality of food we eat has changed, too. But not in a good way. The evolution of food is not keeping up with the evolution of the people who eat it. 5000 years ago, humans first cultivated seeds. 2000 years ago, the Egyptians invented fermented bread. For thousands of years, people made their own bread from whole grain, locally milled wheat. Then 200 years ago, the industrial revolution happened, and milling stopped being a small-batch, local pursuit, and became a manufacturing process. Factory mills were faster and could produce more flour. Since then, bread – and food in general – has taken a huge leap towards mass production. Because foods started being made in such vast quantities, they could not be consumed as soon as they were made. They required storage, and needed to have a longer shelf life. So in came the additives and preservatives. And out went nutrition and freshness. Today, we have realized that bleached white flour isn’t good for us. So the government, instead of encouraging traditional milling, has mandated that white flour be enriched. That means all the bran and germ is stripped out of the wheat, then pharmaceutically made nutrients (which are, as you may imagine, harder for bodies to absorb, since they’re artificial) are added back in. Why don’t they just leave the nutrients in the first place? Because doing it the old-fashioned way is expensive and time-consuming, and most people aren’t willing to spend the extra money on their food. Food has evolved from local, small-batch, homemade sustenance to a manufactured, mass-produced product. That adds up to a basic lack of nutrients – and toxins our bodies don’t know what to do with. Manufactured foods cheat our bodies. So we get fat. We get sick. We are literally killing ourselves with bad food. We need to change the way we think about food. We shouldn’t be eating three large meals a day, and getting hungry in between. When we get hungry, we run out of energy. We get moody, tired, and irritable. So we reach for a fast source of energy – our bodies crave sugar. But as we know, sugar enters the bloodstream quickly, giving us a boost, but after it spikes, we crash. So we reach for more sugar. This is the nasty cycle that causes obesity. Instead, we need a continued source of energy that provides constant nutrients. If we had a source that kept us satiated, we would make fewer bad food choices – and have healthier lives. Sha Sha Co. has a new product line called Bio Bud. They are organic sprouted grains, legumes and pods, sprouts and sprout-based products. The four new Bio Buds are raw organic sprouted brown rice, mung beans, lentils and adzuki beans. All you have to do for the brown rice, mung beans and lentils is soak in lukewarm water for 25 minutes, and then cook for 30 minutes until they are done to your liking. The adzuki beans need to soak for 30 minutes and cook for 35 minutes. Sha Sha Co. says they help digestion, boost immunity, are bioavailable and contain fewer allergens. Sprouting breaks down gluten, which many people have trouble digesting. The Bio Buds are available at Goodness Me on 176 Locke St., and 1000 Upper Gage Ave., Hamilton, and 3455 Fairview St., Burlington. Suggested retail is $5.19 for a 1-pound (454-g) bag. Turned on to better foods. The quest for the fountain of youth has never been stronger, as baby boomers push the envelope of longevity and active aging. But, unlike 16th-century explorers searching for a mythical spring with magical rejuvenative powers, the 21st-century quest is focused on health and wellness. Boomers today are looking for a fountain of youth trifecta – maintaining a high level of physical energy and vitality; preserving topnotch cognitive function; and slowing the aging process — to keep them forever young as long as possible, says Shasha Shaun Navazesh. A member of the boomer generation, at 66, he uses himself as an example. Boomers, at mid-life, do need to think differently about their eating habits, agrees Liz Pearson, dietitian, author and speaker. “As we get older, we need less calories, even if we are physically active,” Pearson says. “Nutrient dense” foods like whole grains and legumes are important and processed foods, often with little nutritional value, are to be avoided. “When you eat food that’s as close as possible to its whole, or natural, state, it’s most protective to your health,” she says. Thus, the part of the plant that protects it – the outer bran on whole grains or the skin on fruits and vegetables – offer some of the greatest health protection benefits. In refined grains, like white bread or pasta, the bran and the germ have been discarded and, along with that, 80 per cent of the antioxidants and plant compounds that protect health, she explains. Beans are one of the most nutritionally dense foods that boomers can look to, Pearson notes. She says a stumbling block to capitalizing on this superfood is that consumers often don’t know how to create taste-tempting recipes, but there are myriad ways to enjoy it. He calls on his training as a chef and pastry chef plus knowledge of cultural cuisines, gleaned from travels through 52 countries on three continents, to infuse his products with taste as well as nutrition. Recently, he launched some unique offerings that meet this criteria. His Bio-buds are sprouted grains and legumes, which he says are “totally new, totally cutting edge.” It’s a technology he’s worked with for 14 years, putting sprouted grain into ShaSha breads. Then he decided to offer them to the public. Organic sprouted grains, legumes and pods are a “nutrient powerhouse,” he says, with three to four times the benefits of their unsprouted counterparts. They aid digestion, boost immunity, are bio-available and contain fewer allergens. “We looked at different grains, legumes and pods for their attributes,” he says. Currently available for sale are Bio-bud adzuki beans, mung beans, lentils and brown rice, although he uses 11 different sprouted grains in his breads. They’re prepared like regular lentils but Navazesh says the soaking time is less and the cooking time half. He’s also introduced Buckwheat Snack, ShaSha’s first gluten-free product, one that’s “going crazy” in the marketplace. With organic ingredients, including buckwheat groats, sunflower seeds, dried cranberry and apple, Sultana raisins, almonds, black current, cinnamon and ground ginger, it’s delicious and also raw, vegan, pro- and pre-biotic and a source of soluble fibre.